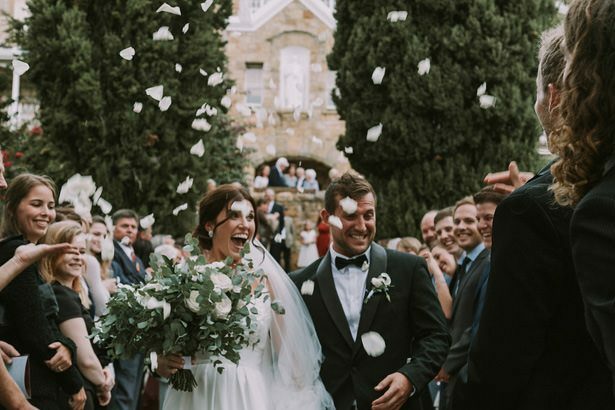 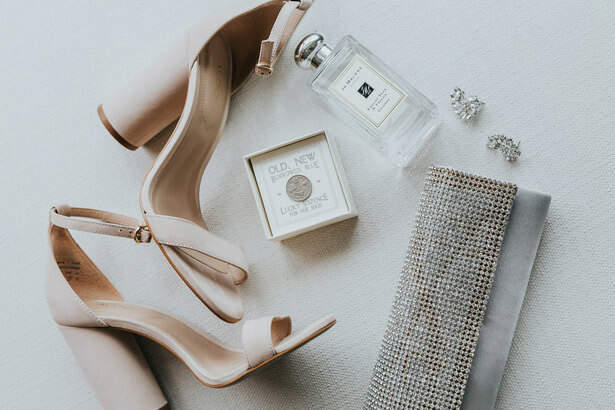 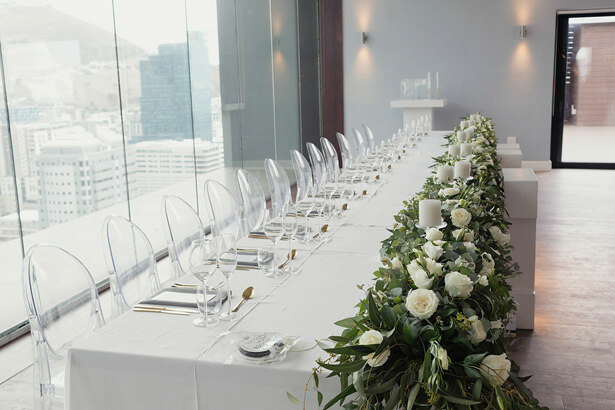 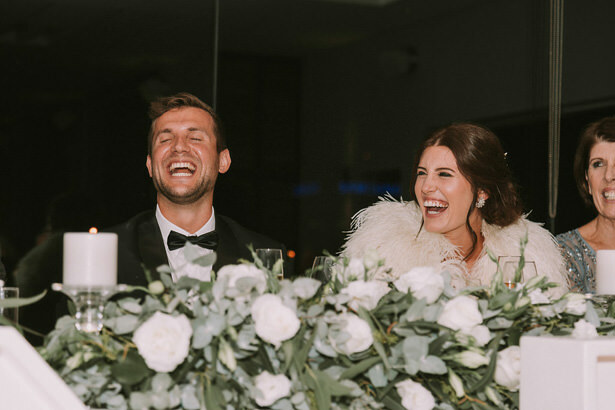 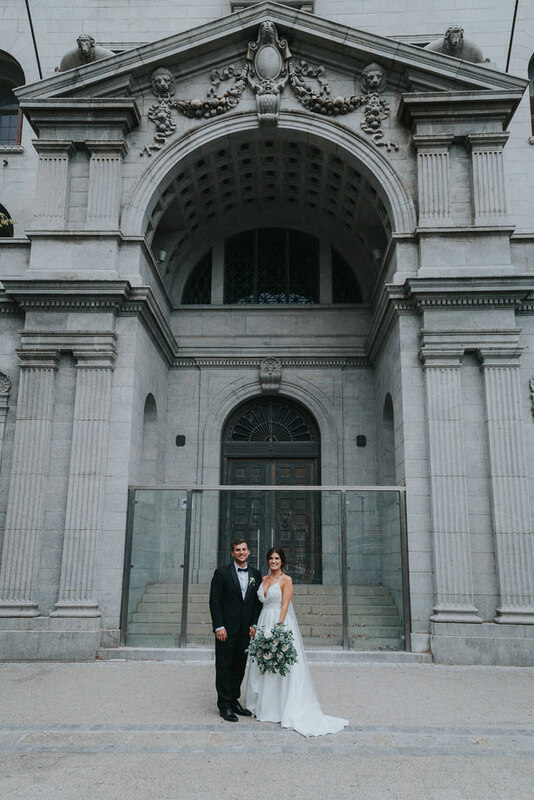 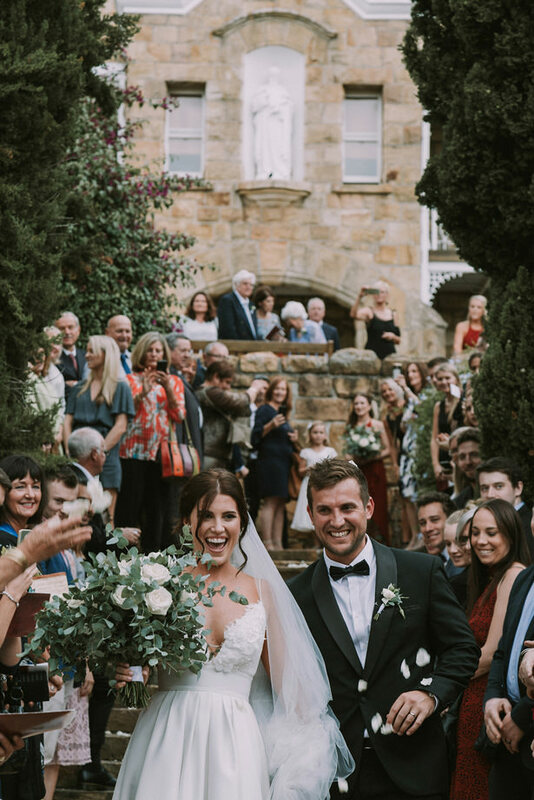 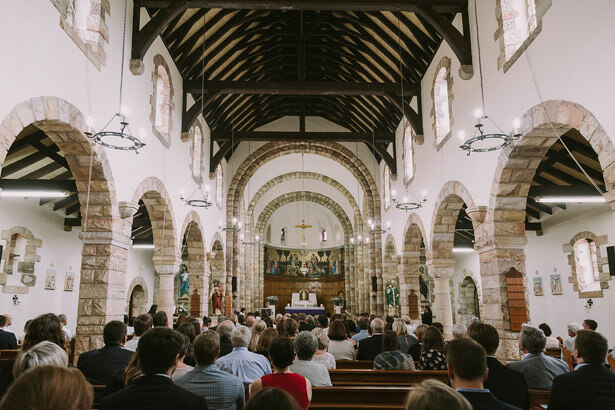 This grand and chic wedding was class all the way — the whole celebration shone with timeless glamour. 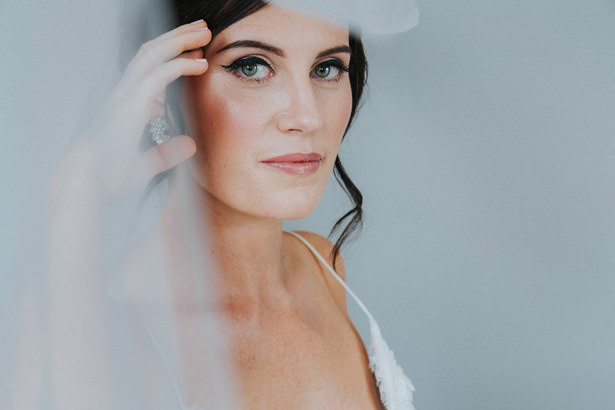 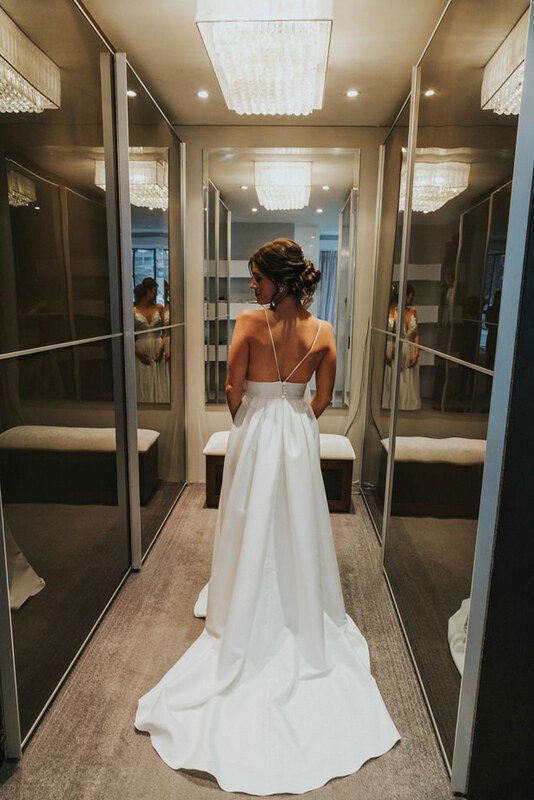 The bride was stunning in a backless gown — and the dramatic train really gave it a “Wow!” factor. 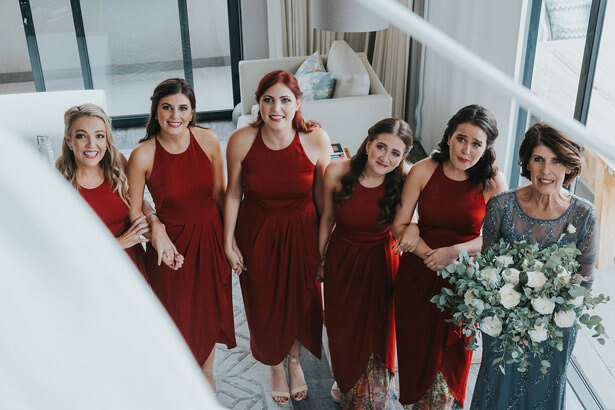 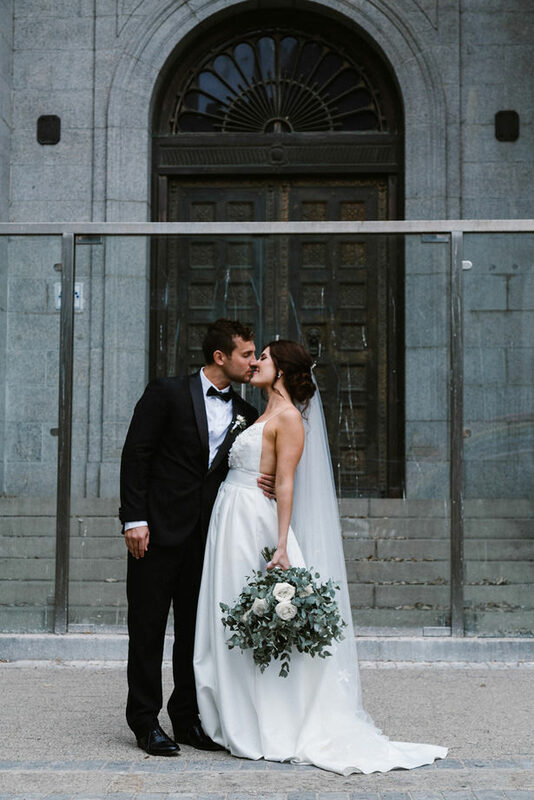 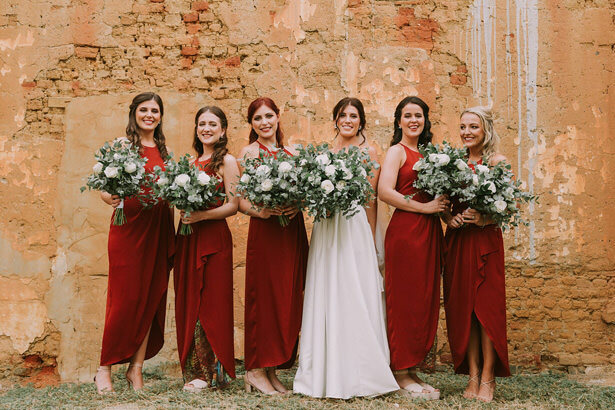 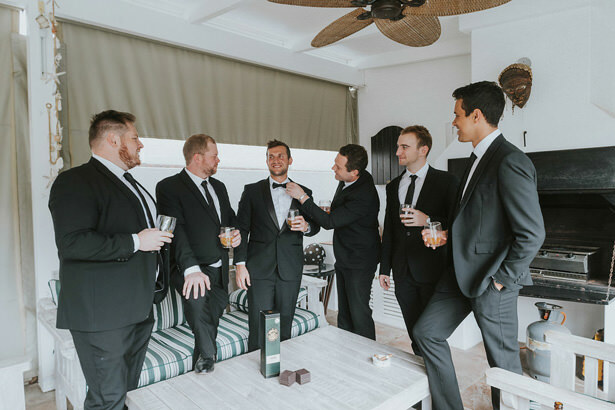 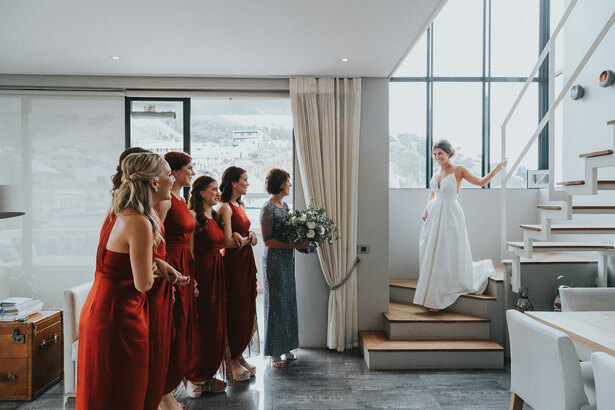 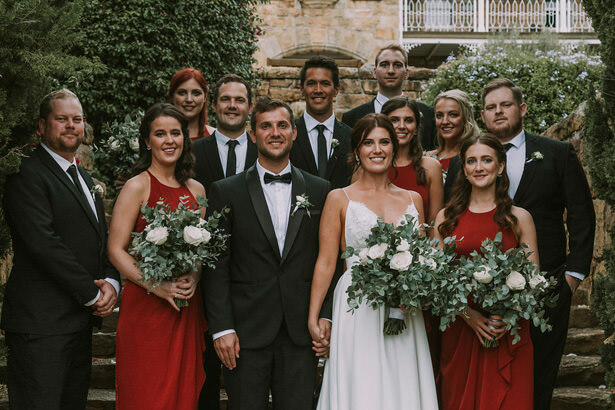 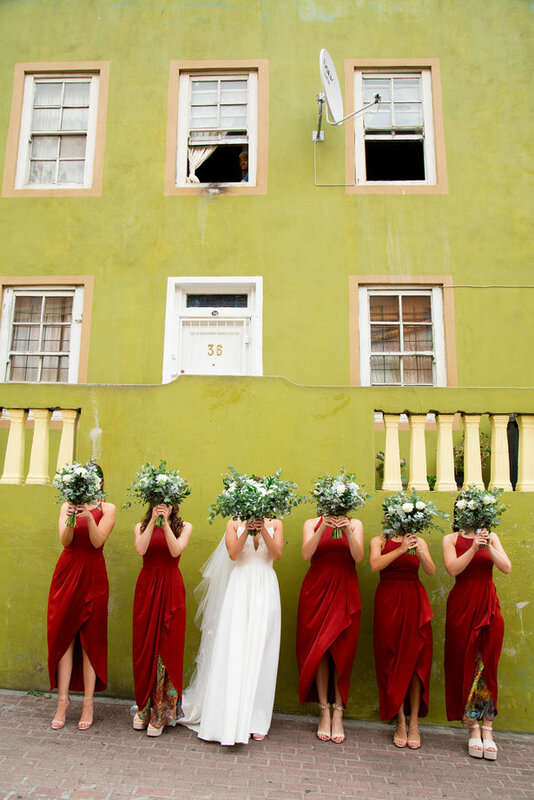 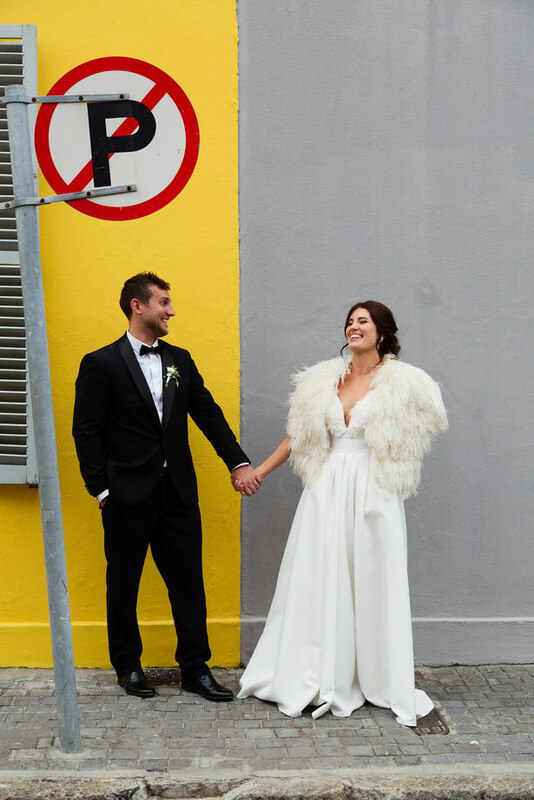 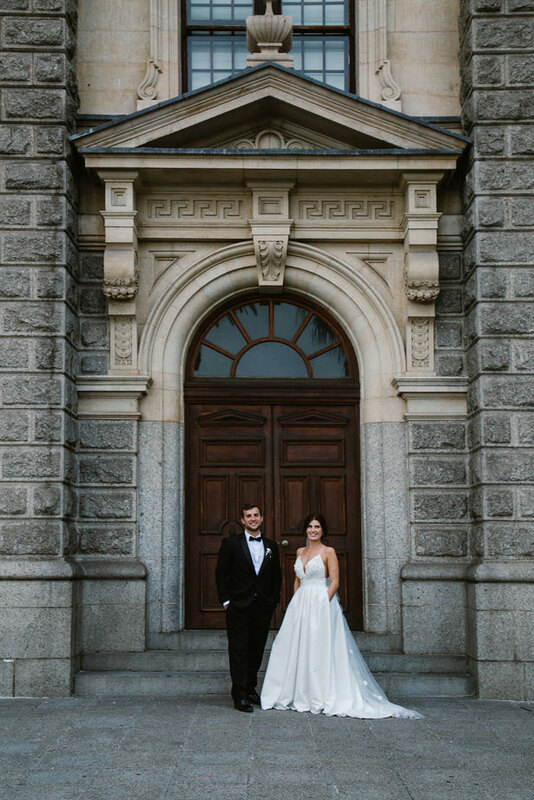 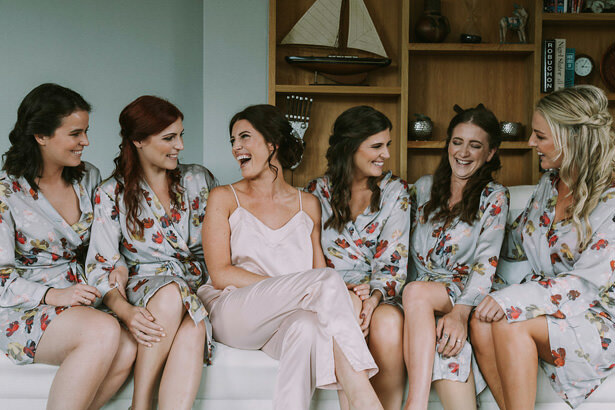 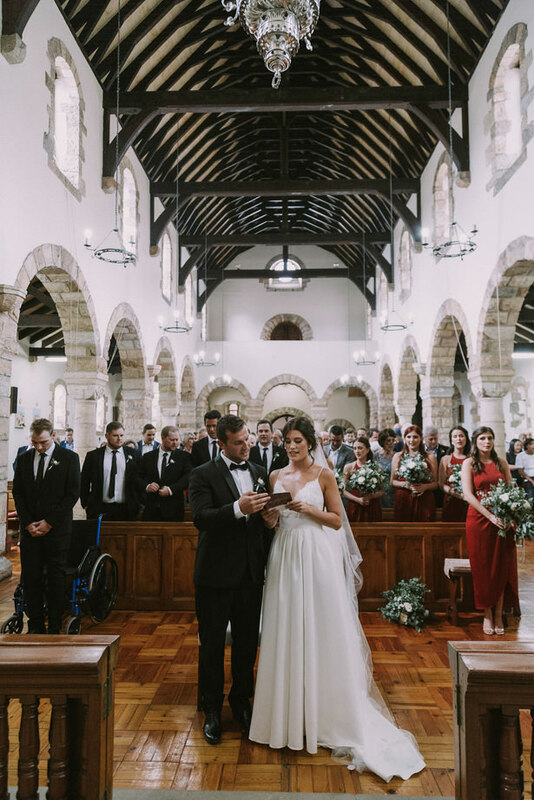 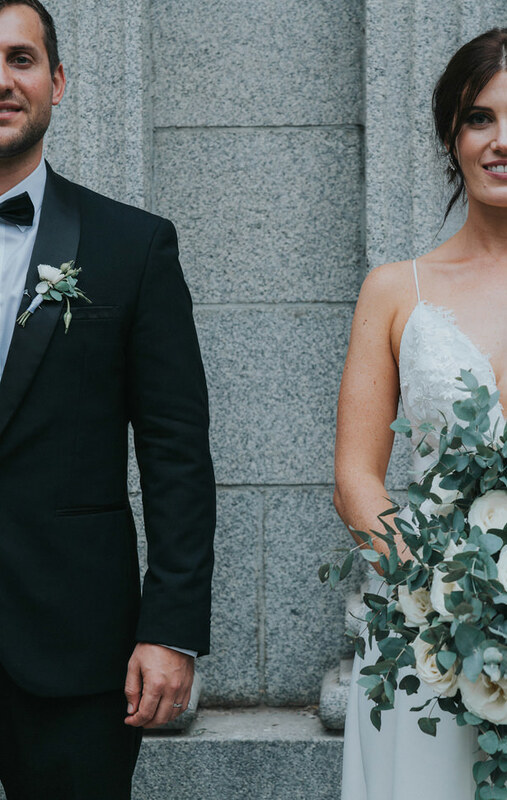 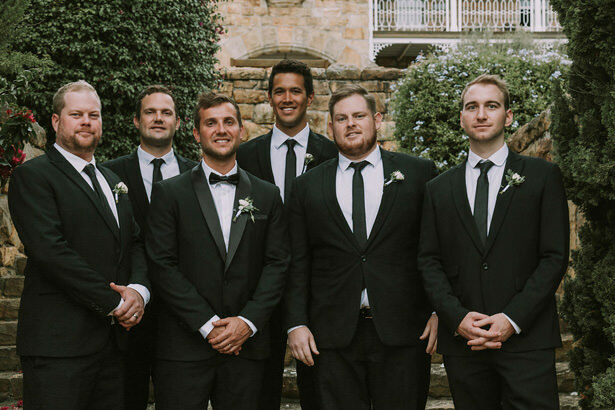 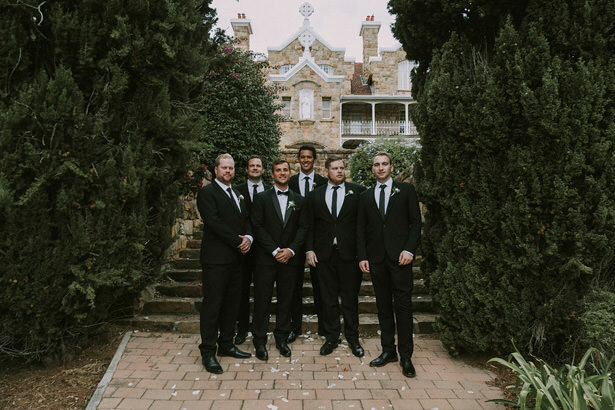 The classic tux on the groom and the pop of red for the bridesmaid dresses set the tone of this minimalistic but romantic affair, where no detail was missed. 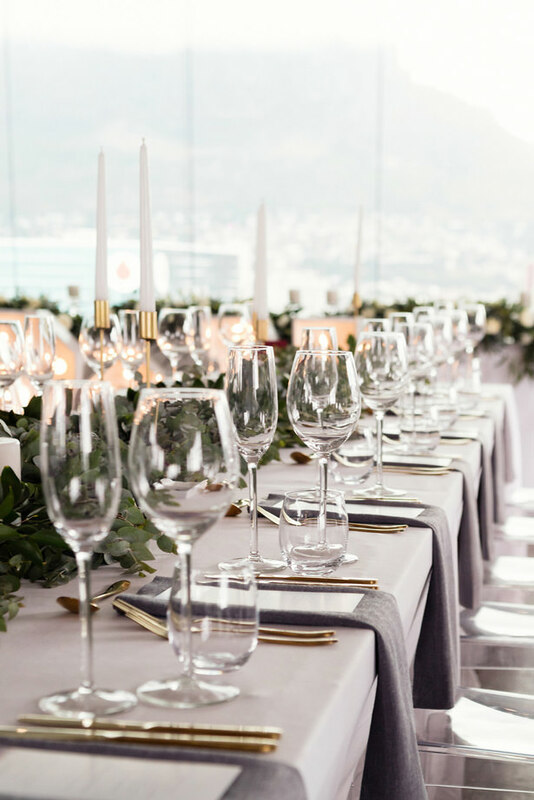 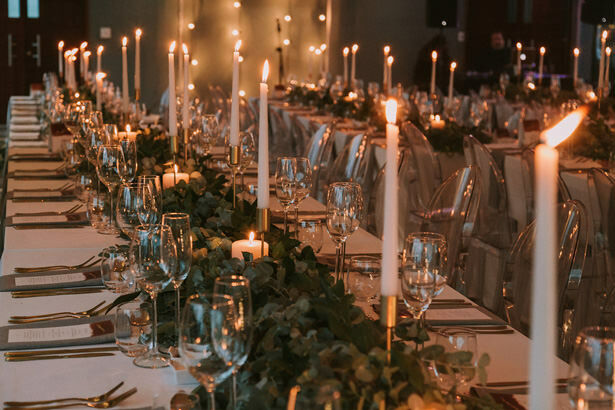 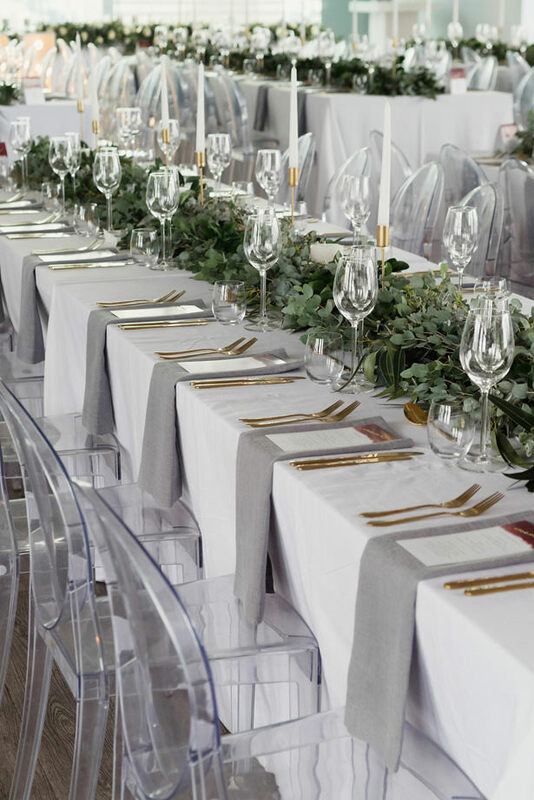 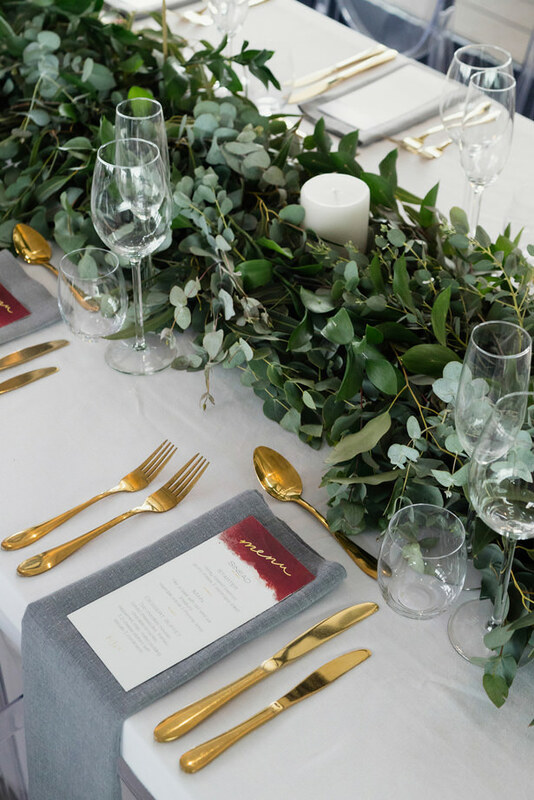 The gold cutlery, the beautiful greenery, the fresh flowers on the cake, the gin bar — it all tied together to become the definition of modern elegance. 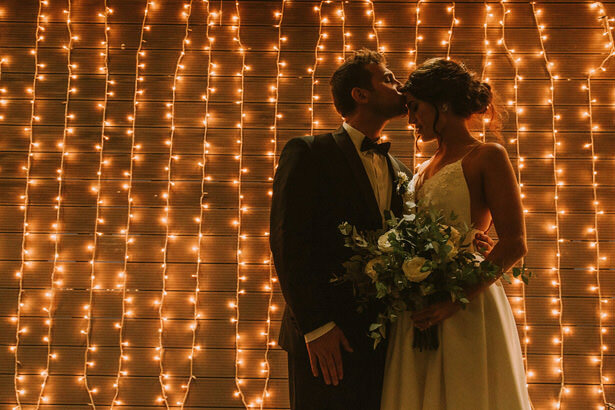 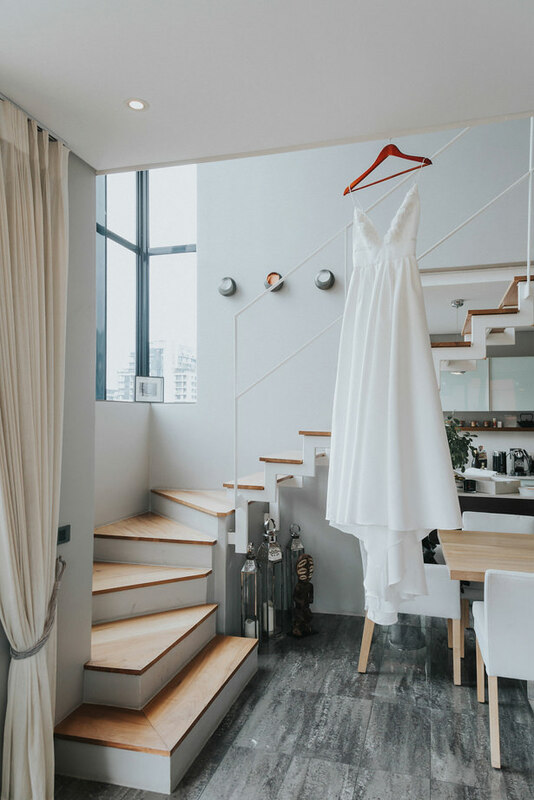 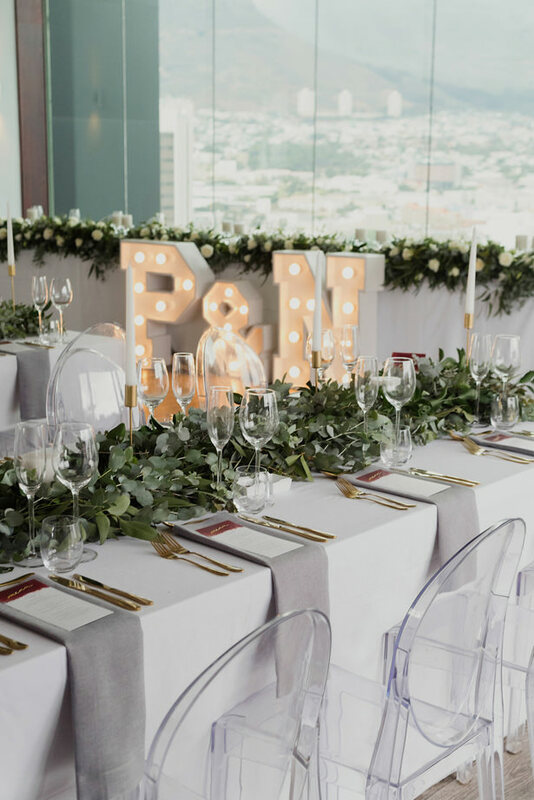 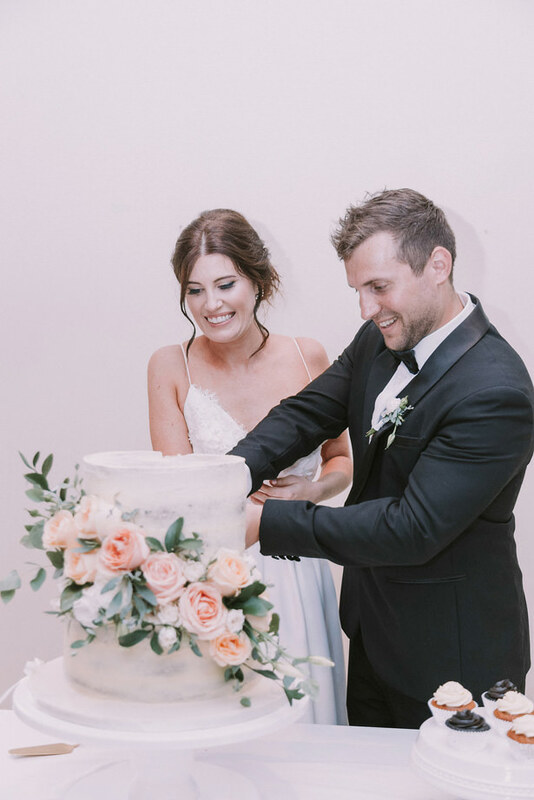 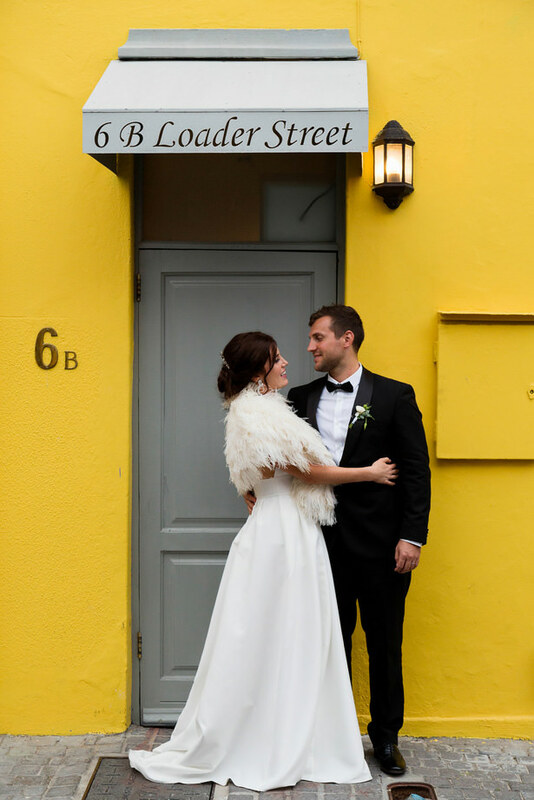 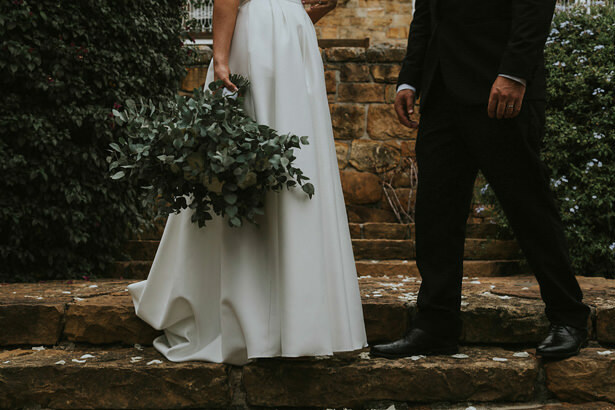 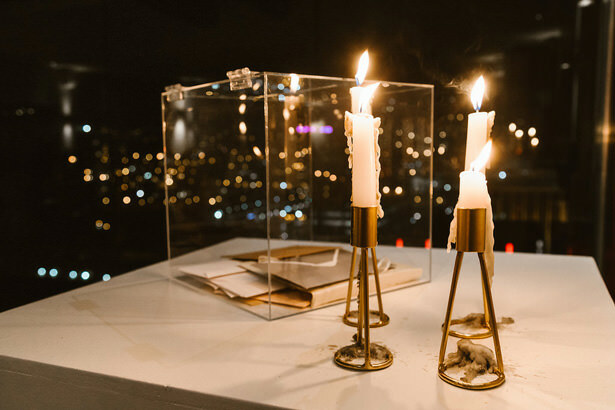 Check out the FULL GALLERY from Bianca Asher Photography to see how this modern design scheme still captured an effortless romance.